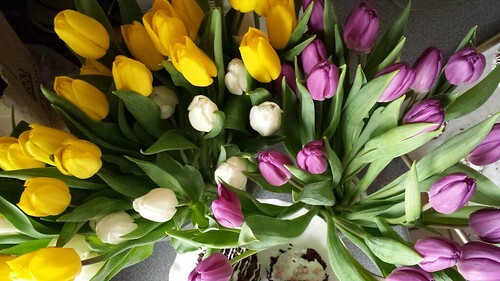 Speaking of late, new posts at Dessert By Candy have been few and far between lately. For those who follow my Instagram feed, you know that I’ve been as busy as ever in the kitchen. Unfortunately, sitting down with a quiet moment to write down my thoughts is a luxury that I miss. Between long hours at the cafe and relentless skating training, I came down with a cold twice in a month on top of a few minor injuries. Every time I sat down to write, I ended up snoozing [blush]. My coach resorted to prescribe forced rest days so I could recover and reset the body. 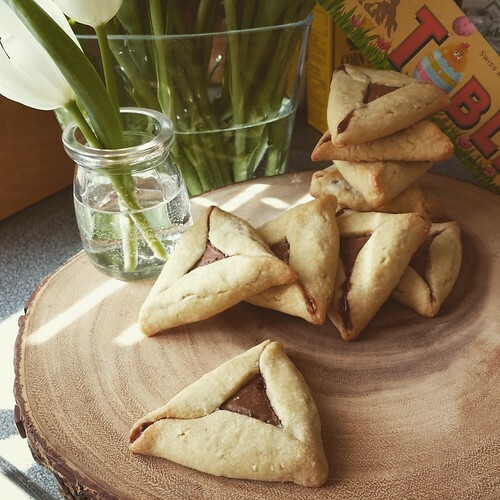 One of the many baking projects that I have not told you about is Toblerone Hamentashen. 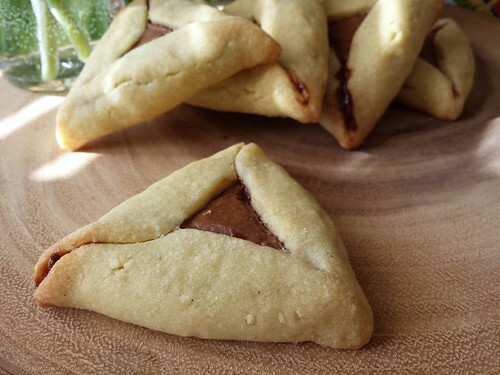 A traditional delicacy at Jewish holiday Purim, hamentashen is a cookie in signature triangle shape. My thoughts immediately turned to Toblerone chocolate bar, also well-known for its triangle shape. The two are practically made for each other! I used a traditional pate sucree dough and stamped circles large enough to wrap a trimmed triangular piece of Toblerone chocolate. The chocolate did not melt into a puddle even under the heat of baking so the dough held its shape beautifully. There was no worry of leaking filling, no fuss with shaping the cookies. I was very happy with both the taste and look. How could I go wrong with crispy cookie crust and nougat milk chocolate? Pulse butter in the bowl of a large capacity (11 cup) food processor until creamy. Add icing sugar, almond, salt, and vanilla to process until well blended. Add the eggs and process to blend, scrap the bowl to ensure even blending. Add the flour and pulse until it comes together into a ball. Do not over-process. Divide dough into two pieces (560g each) and wrap in plastic wrap. Shape into a disk. Chill in fridge overnight or up to 2 days. 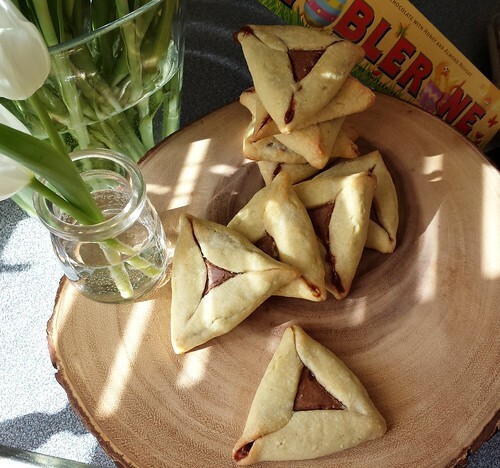 Using a serrated knife, cut Toblerone into triangles. Trim the base of each piece to even thickness. You should have 30 pieces of chocolate. Working with one disk of dough at a time, roll into large rectangle of about 2mm thickness. Stamp the dough into circles of 85mm diameter. Place a piece of chocolate in the middle of dough circle and fold the edges up. Squeeze the edges gently to seal. Repeat until you have 30 cookies. Preheat oven to 350F. Line baking sheets with parchment paper. These cookies do not spread so you can leave about 20mm of room in between. Bake for 20-25 minutes until lightly golden. Cool until crisp and store in airtight container.